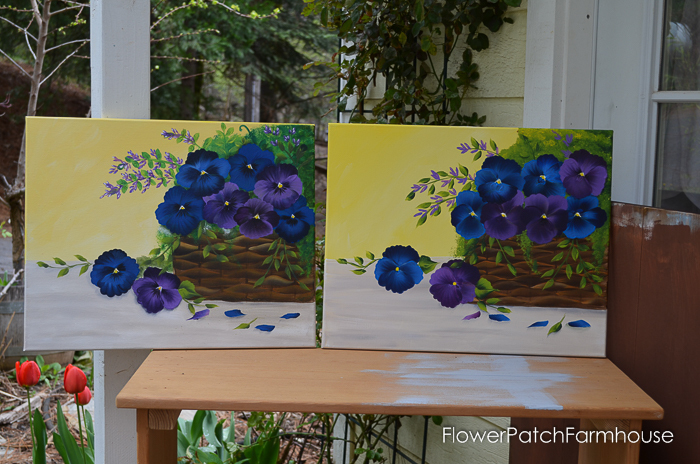 Paint a Basket of Pansies on Canvas, a step by step tutorial with video. Easy enough for beginners and fun enough for everyone! 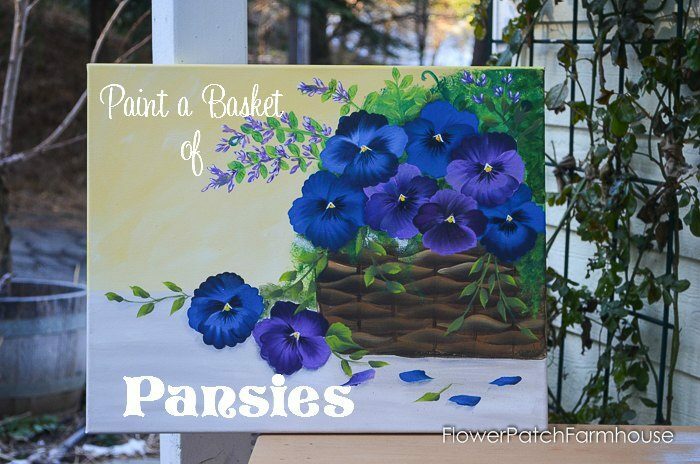 How to paint a basket of pansies on canvas! 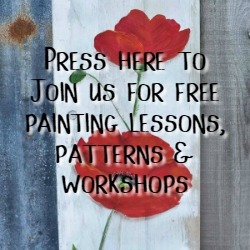 Invite some friends over and have a paint party, a fun easy floral everyone will enjoy. 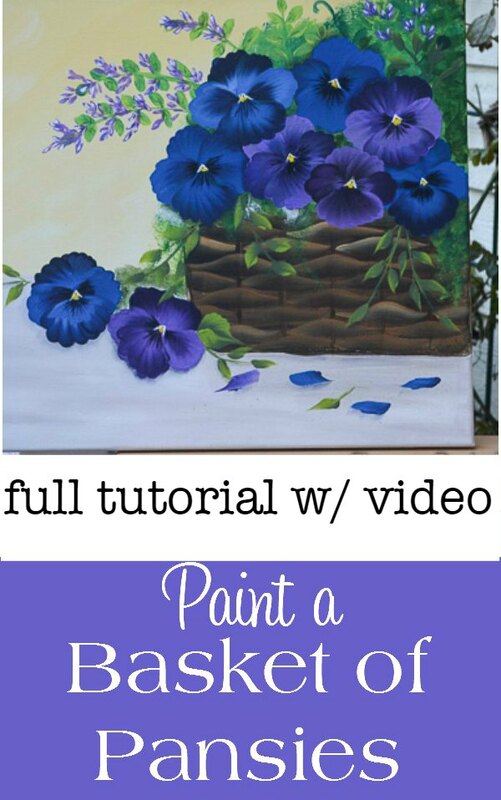 My step by step video of painting this Basket of Pansies. There is a few faux pas along the way but I have been assured by many that they like me leaving those in the videos so they know things don’t always go smoothly for me and keeping it real. You also get to experience the annoying habit I have of talking with my hands. You see them waving about in the video way too often. If it is asked for I will do a step by step photo tutorial of how to paint a basket but I think you get the idea clearly enough from the video. Though the Paint a Basket of Pansies in the video is not exactly the same as the original it does give you the skills needed to complete one for yourself and it should tell you that yours won’t be just like mine either, your personal style will show through and that is great! 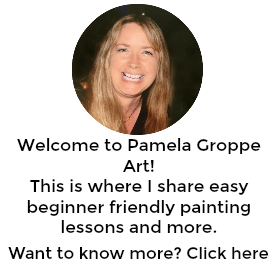 Feel free to swap out colors, maybe to match your decor or just for the hey of it. Your painting is simply beautiful . Love the deep color. Going to have to give this a try. Love your painting. Thank you, Ruby, I do love bright colors, as well as pansies. I love the pansies, But it keeps bringing me here when I try to go to paint an Aspen or Birch tree. My Bedroom a 3D cherry tree, Kitchen an olive tree (not really found in The New Forest but the kitchen’s theme is Tuscany), Living room is a Silver Birch so I’d love to access your tutorial.